KATHMANDU, Dec 13: Kulman Ghising, the managing director of Nepal Electricity Authority (NEA), has said that NEA's system loss can be reduced significantly. Speaking at a meeting held at the Office of the Prime Minister and the Council of Ministers in the presence of Prime Minister Pushpa Kamal Dahal, Ghising said that reduction in system loss by one percentage point alone can save around Rs 500 million. NEA's system loss currently stands at 26 percent including loss incurred due to energy theft among others. Ghising said in the meeting that 14 percentage points of the total loss is of non-technical nature and hence can be controlled. If the system loss is reduced as stated by Ghising, NEA will be able to supply additional 714 million of units of energy worth around Rs 7 billion. NEA posted loss of Rs 11.57 billion in the last fiscal year alone. 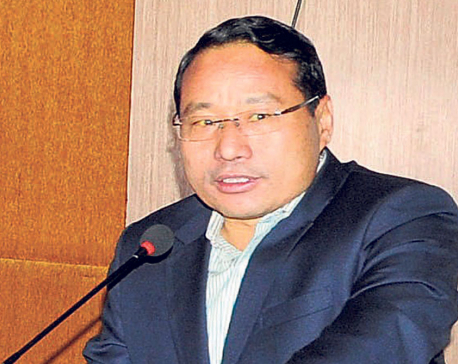 Of around 900 MW available in NEA's system, around 240 MW is lost due to theft and leakage, Ghising said in the meeting. 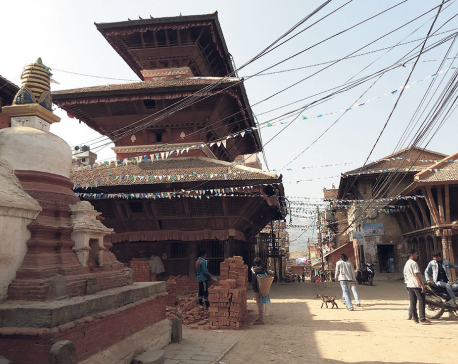 According to Ghising, Janakpur area tops the list in terms of energy theft. “We need to launch a massive campaign to reduce system loss," Ghising said. NEA has also complained that people involved in electricity theft are getting political protection. “Cooperation by security agencies alone can help bring down system loss by 10 percentage points,” added Ghising. Speaking at the meeting, Minister for Energy Janardan Sharma said that locals of Parsa have obstructed work to erect towers of Parwanipur-Raxaul Transmission Line. "We have come to know that these locals have backing of some political parties,” Sharma said, adding that such activities have affected their plan to eradicate load-shedding. NEA aims to complete the 132 KVA transmission line by the end of December and import 50 MW from India through the line. This additional supply will indirectly help to supply more energy to Kathmandu Valley, according to NEA officials. At the meeting, PM Dahal praised the efforts of Ministry of Energy and NEA in reducing load-shedding. He also directed the NEA officials to reduce system loss to 15 percent. Meanwhile, the Ministry of Finance has released Rs 5.337 billion to the Ministry of Energy to implement different plans for ending load-shedding. The finance ministry has said that the amount will be used to purchase electricity poles, transformers, electricity meters, cable and to implement different programs. The energy ministry had demanded Rs 18 million to implement different programs for ending load-shedding. The budget allocation has been made to implement the decade-long plan for energy development announced in February, according to the finance ministry.